LETTER | As one of many who will gain from Budget 2019, I applaud the benefits laid out especially for us, the road users. The fuel subsidy of 30sen per litre for RON 95, capped at 100 litres for cars 1500cc and below; and 40 litres for motorcycles 125cc and below per month may seem to be a small sum but let us do some simple calculations. Assuming that one drives a Perodua Kancil (847cc) that consumes 15 litres a week or 60 litres a month, that would translate to a savings of RM18 a month or RM216 a year. 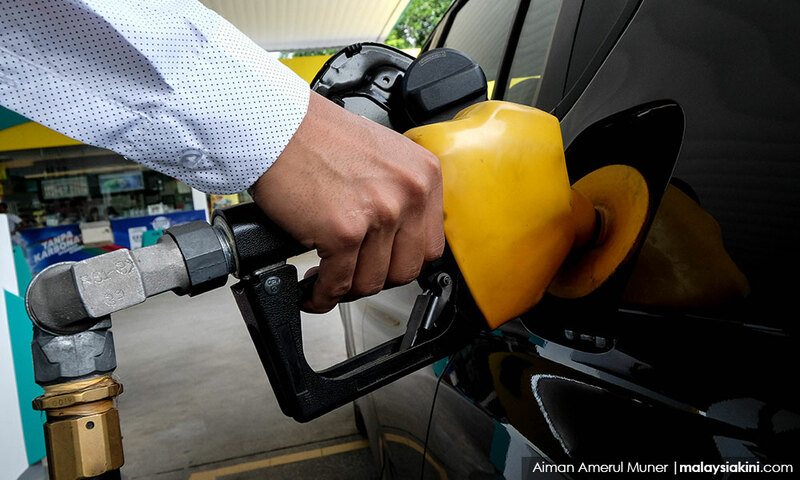 If we extend further to a maximum usage of the subsidy (100 litres), it leads to savings of RM360 and RM144 per year for a car and motorcycle, respectively. Of course, we can only claim for one car or motorcycle even if we may have more than at home. There is also the benefits from the abolition of toll charges for motorcycles at the Penang Bridge, the Sultan Abdul Halim Mu'adzam Shah Bridge and the Second Link to Singapore from Johor. Based on the reported current toll charges of RM1.40, RM1.70 and RM2.20 (two-way) at the three bridges respectively, we can work out an estimated savings model based on simple assumptions. Now if you ask me, these figures are pretty good. Definitely, it will benefit the B40 group, even the M40 and also a sprinkle of the T20 who still drive around in a simple 1300cc car or 70cc motorcycle. To the unacquainted, the T20 group refers to those earning a household income of RM13,148, the M40 for household income of RM6,275 and the B40 for household income of RM3,000. This data are median monthly incomes for 2016, obtained from the Department of Statistics Malaysia. So my fellow Malaysians, isn't this Budget 2019 wonderful? Wonderful in the sense that I know what I am gaining. Reassuring because I know that it will not be taken away if I qualify for it. Let us not forget too about the many other benefits laid out for the various segments of society; raising the minimum wage to RM1,100, the RM500 one-off payment to civil servants Grade 54 and below. Even for the eligible pensioners receiving less than RM1,000 per month and RM250 for government retirees. Now this will certainly be a good stepping stone to lift up our economy again.